The traffic lights around our city often have little boys begging. They wait for the light to turn red so that they can place one hand on their stomach and stick out their other hand to the driver of the car that has stopped. Too often, the drivers of these cars believe the lie of hunger and give the little boys money that will later be spent on candy or a radio or, unfortunately, drugs and alcohol. A life of begging to have a little money in the pocket. Older boys walk around the city looking for a car that is parked in a way that would make it easy to steal parts without drawing attention...mirrors, headlights, grills. If it can be easily pooped off of your car, it's fare game. Then its off to the black market to sale their stolen goods. A life of crime to have a little money in the pocket. At Masana, we work with boys to get them ready to leave behind street life and return to their families. Once home, the boys often miss the feeling of having money in their pocket...the money that was made easily, though dishonestly, on the streets. In recent years we've begun to realize that we have to provide these boys with means of making an honest living to prevent them from returning to the streets to make money. Our first go at this was Armadura Gym which opened in 2013. 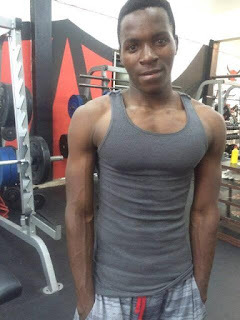 The gym serves as income generator for Masana and provides jobs for boys who have made the choice to leave the streets and return home. There are currently 5 boys participating in an internship that has gotten them off the streets and into a home and full time employment. This year we were given some funds for vocational training courses. We have chosen some boys who have already left the streets and returned to their families. Each one has chosen a course that interested him. We now have 2 certified electricians, 1 certified videographer and 1 certified seamster who are all completing internships! 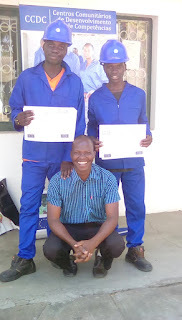 We've just begun a second round of vocational courses in which 3 boys are taking an electrician course and one is taking an auto mechanics course. In a world where it is so easy to beg and steal, we are so proud of these boys who are making steps towards an honest living! This is Luis. He has lived on the streets of Maputo for too many years. I've started to type his story 4 or 5 times but keep hitting delete...it's just not my story to tell. Luis' story is one of suffering. He's endured far more than any 16 year old should have endured. But when I look at photos of him with Melina and Maya, all I see is joy. He's had a hard life but he hasn't been hardened by it. Luis is finally close to leaving the streets behind. Because of some health issues, he's been living with us here at Masana for the past 6 or 7 weeks. At first we were searching for alternatives for him in terms of where he could live...a children's center or perhaps the home Roberto and I have built for some other former street boys, or maybe with an extended family member or a foster family. But in the end, we have decided the best place for him is with his mother, step-father and 2 small sisters. He's spent weekends with them for the past month and now is there for a week. If all goes well with this visit, we think he'll be ready to return home for good. Would you pray for Luis? Pray for him as he makes this transition from the streets back to his family. Pray that he would stay this time...that he would never again return to the streets. Pray for his health. Pray that his family will be able to give him the care he needs. Pray that he will know that he is loved....not only by his actual family but by his family here at Masana and, most importantly, by his Father in heaven. He is loved. God sets the lonely in family. I've found myself disheartened lately....tired of pouring myself out for boys who don't seem to want our help. In June, a boy who lived with us for almost a month was set to return to his family who lives about 6 hours north of the city. The night before we were to leave, he stole money from our house and disappeared. To this day, we don't know where he is. A young boy who is very sick has been living with us for 2 months now. Last week he left for his daily trip to the health center for medication and never came back. 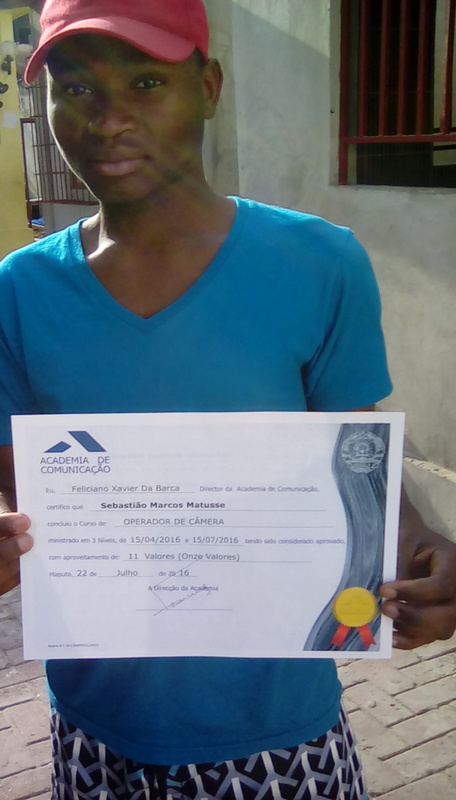 Roberto and I spent 2 days searching for him before we found him and brought him back to Masana. When we questioned him about why he'd run away, all we got were blank stares. Another young man was staying with us for the past 2 weeks because he'd been hit by a car. He decided he didn't want to stay in the hospital after his accident so he paid a taxi to drop him off outside of Masana. When we returned from church 2 Sunday's ago, there he was on the sidewalk outside of our home with a cast on both his arm and his leg. Roberto and the boys who live here with us had to carry this young man around for 2 weeks...to the bathroom, to his bedroom, to the living room. He was completely dependent on us. After a few talks, he agreed to go to his grandmothers house which is 3 hours north of the city. The night before we were to take him home, he disappeared. You see how easy it is to feel disheartened? We give so much of ourselves. Roberto has spent countless hours at the hospital with these boys. We've opened our home to them. We've given them clothes and food. Yet it seems to be in vain. They run away despite all we've done for them. This morning I skipped church and stayed home alone. I needed time to process through these disappointments. And this is the verse God has put on my heart. ALWAYS give yourselves fully. ALWAYS....that's the calling Roberto and I have accepted as we pour ourselves out day after day here at Masana. Even when we find ourselves disappointed by the boys, we will choose to ALWAYS give ourselves fully. And we will believe that our labor is not in vain. We will believe that the Lord is planting seeds in the hearts of these boys...even the ones who run away from us. And despite the disappointments, we will thank God that He uses us to pour out His love on these boys. We will stand firm.